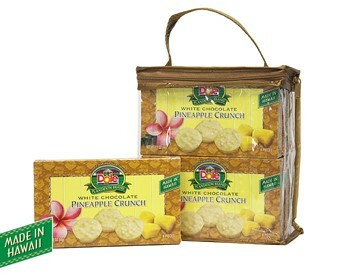 White Chocolate Pineapple Crunch now available in a 6 pack carrier. 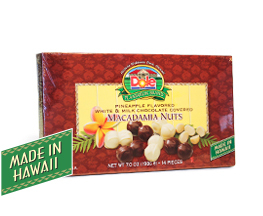 A great way to share your Hawaiian vacation with Family and friends. Made in Hawaii. Net Weight 12 oz. (336g). 6 pieces per box.